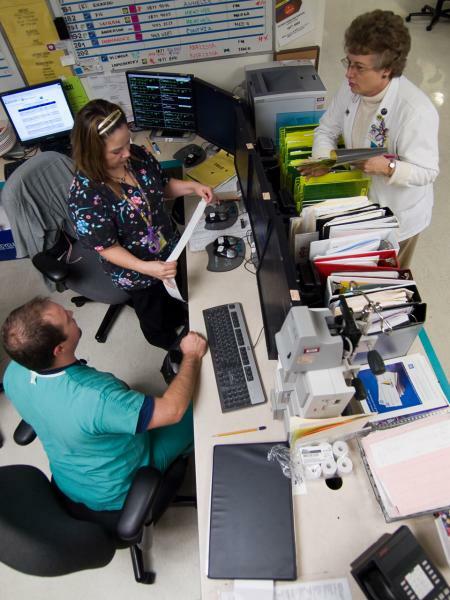 The clinical program at San Francisco General Hospital and Trauma Center (SFGH) was created to optimize care for patients with serious brain and spinal cord injuries. This program provides a continuum of care for the neurotrauma patient. Elements of the program include around-the-clock attending neurosurgeon coverage to respond to all major resuscitations, expert neuroscience nurses who assess and intervene to provide the best patient care with the latest advances, and rehabilitative services which include physical therapy, occupational therapy, speech therapy, and physiatry to provide a complete rehabilitative program to maximize recovery. Social work services, including focused inpatient services and the Neurotrauma Outreach Program, integrate patients into the community with appropriate services. Neuropsychology assessment to evaluate a patient’s cognitive strengths and weaknesses, to help identify psychosocial needs, and to assist with community re-integration. Patient and family support through the TBI support group provides a venue for those traumatized by a head injury to unite and share their experiences.